Every game is a learning curve. 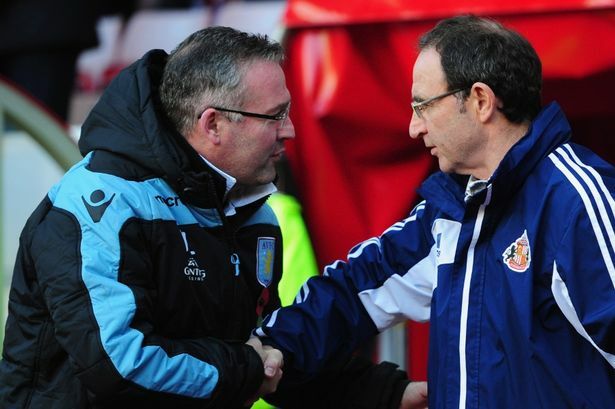 This week Villa achieved back-to-back wins across all competitions for the first time since August 2011, when Villa beat Blackburn, followed by a League Cup win against Hereford. 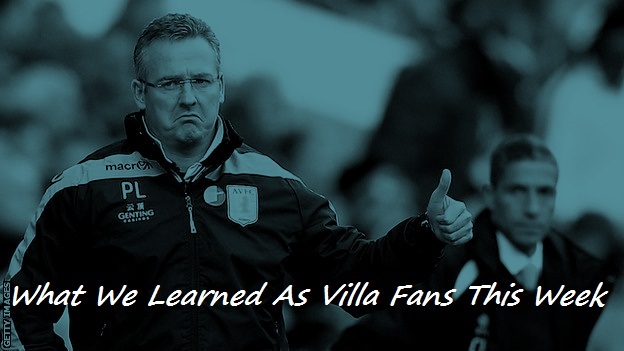 A statistic that is perhaps an indictment of how bad times have been at Villa recently. The cup win against Swindon Town and the defeat of Martin O’Neil’s Sunderland (who had lost fewer games this season than Manchester United going into the game), were both away fixtures and certainly suggest a step in the right direction. Can Villa fans finally embrace a little optimism? And when Ireland and Agbonlahor finally get on the same wavelength then the goals will start flying in. Ireland is already exerting more influence this season than he has done throughout his time at the club. 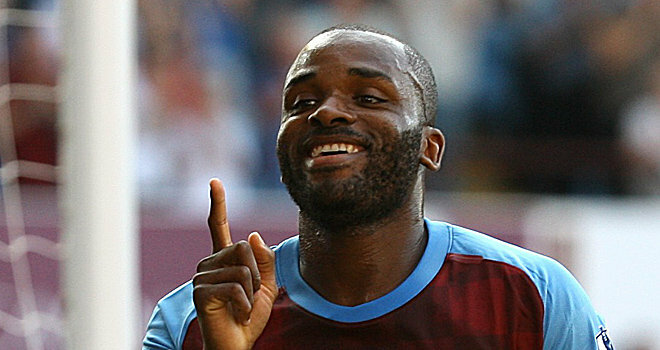 He laid on Benteke’s first against Swindon and had a hand in Gabby’s. He linked up well with Weimann against Sunderland and showed that he has the ingredients to be the link up man behind the strikers that we need. There are still question marks over his mentality, though, and he doesn’t score enough but as the season progresses and the team become more comfortable with each other then the chances will come. Sunderland is out of form, sure, but these are the kind of games we should be all over, and for the most part we were. The first half was shaky but by all rights it should have been as we were the away team. As the game went on and they didn’t look as though they were going to score we were given license to take the game by the scruff of the neck. The formation suited us, allowing Weimann and Agbonlahor to cut inside from wide positions and bizarrely enough; we used our midfield, despite having a man less there than we usually do. Ashley Westwood stepped in, looked composed and displayed a subtle influence, something that Delph just can’t seem to do. 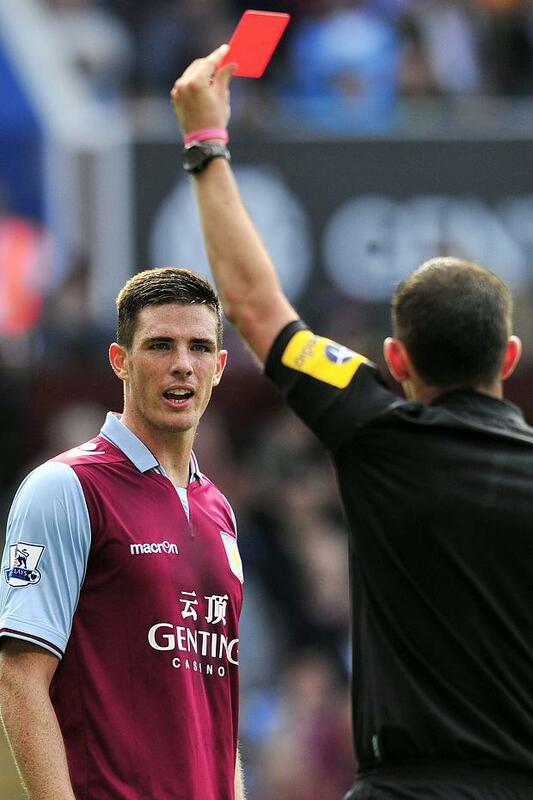 Villa has a problem with giving away fouls, most of them are silly and the cards are mounting up. This afternoon we committed 17, picking up three bookings in the process, against Norwich it was 12/2 with a red card to boot. For all his positives Ciaran Clark is a major culprit, as are our young full-backs. Karim El Ahmadi was missing today through suspension and as well as scaring the life out of us when it happens, it’s amounting to too many suspensions that we can ill afford now that the squad has been impacted by so many injuries. But…I thought I was the No.1 Villa striker? Though it pains me to say it, we may actually be better off without him. Gabby and Benteke are starting to form a solid partnership and they’re both scoring. Weimann, though still raw, offers more movement and contributes more to the build up play. Bent is a great goalscorer and is proven at this level, but the whole squad needs to be pulling together at the moment. Being the only England international we have now he’s inevitably going to be the focal point of the media and his tantrums about being dropped isn’t going to help morale. I know that no player enjoys being left on the bench, especially after missing half a year through injury, but if he upped his game instead of complaining then he’d make it much harder for Lambert to leave him out. 5 – We told you so! Sorry Sunderland, we did warn you. MON is great, for a while, but when the honeymoon is over it becomes painfully clear that he has no plan B and tactically, is very limited. Our leaky defence and fragile midfield stood up to everything, and that’s something we should thank O’Neill for, as it’s a trait we’ve continued since he left, much to his detriment!